I am not a very original person. Most of the projects I do are crafted from lessons I photocopied at my first school and have made alterations on. Some I make out of samples of crafts that I could never think of myself. Finally, I love to pull ideas off Pinterest. 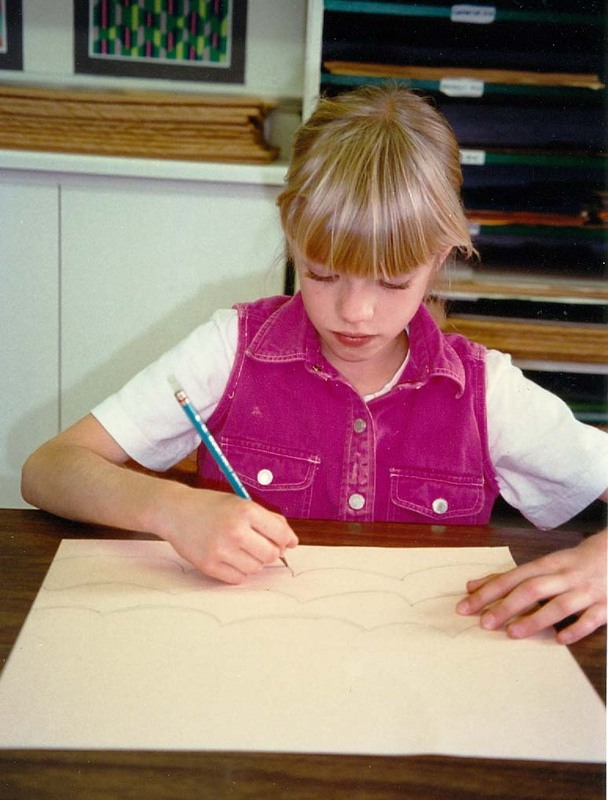 There are so many amazing blogs out there created by art teachers – thank heaven! Art Teachers, thank you for helping me weave learning into my art projects. Thank you for writing up easy to follow, kid friendly lessons. I have the greatest respect for your ability to guide a room full of students – something I liken to herding cats. You’re teaching my children to listen, respect authority, play and work intelligently. I miss you in the summertime. The lessons in this blog are printer friendly, have step by step photos and super examples of kid finished artwork. I plan to use her lesson focused on Winslow Homer to create a background for our explorer studies – we need ships on that ocean! After learning about the life of Winslow Homer and his seascapes, the children make paintings of the sea. For all ages. Plan 1 to 2 sessions. Look here for more information about Winslow Homer. Click on the following titles to see examples of Homer’s seascapes: Cannon Rock,Summer Squall, West Point, Prout’s Neck, On a Lee Shore,Northeaster, The Life Line. Winslow Homer is an important American painter, best known and admired for his paintings of the sea and marine subjects. 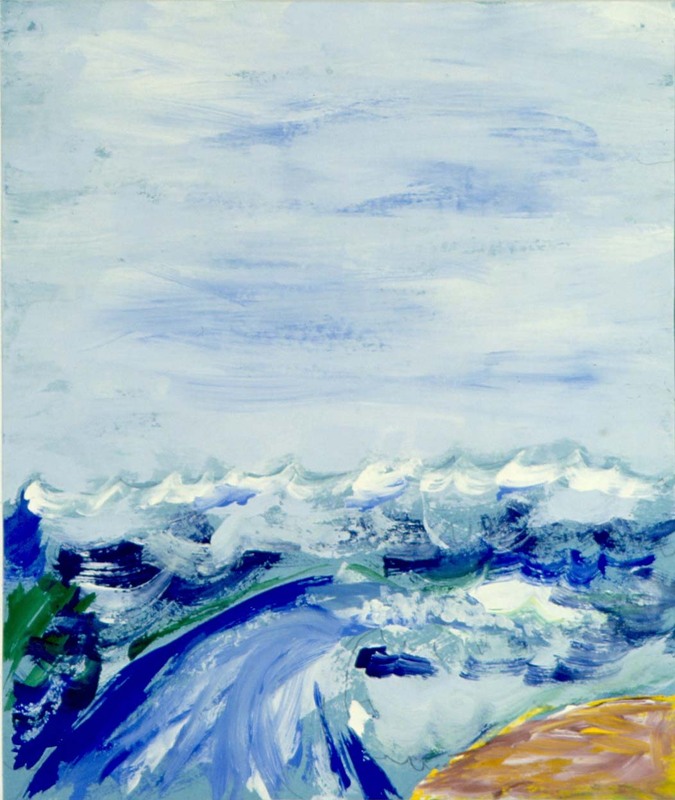 With bold, quick brushstrokes, he was able to capture massive, crashing waves either in the brilliant sunshine or in the darkness of an intense storm. Homer was born in 1836 in Boston, Massachusetts, the second of three children. His mother, an amateur watercolorist, recognized his early art talent and became Homer’s first art teacher. His only formal training consisted of a brief period at the National Academy of Design. At the age of eighteen, he began working as an apprentice in a printing company. Looking for more freedom in his art work, he moved to New York and became a leading illustrator for the popular magazineHarper’s Weekly, where he was given the assignment of sketching battle scenes during the Civil War. After moving to England and working with watercolors for two years, Homer settled permanently in Maine where he fell in love with the sea. Rarely leaving home without his watercolor paints and paper, much of the rest of his life was spent painting seascapes, venturing to such places as the Bahamas, Cuba, and Florida. Become familiar with the life and seascapes of Winslow Homer. Gather examples of Homer’s seascapes. Set out construction paper, pencils, paints, brushes, containers of water, and sponges. Share the examples of Winslow Homer’s paintings and talk about his life. Tell the children that they will be paintingseascapes, or paintings of the sea. Explain that the horizon line is the visual line which separates the sea from the sky. Point out how the horizon line is affected by the weather, such as sharp and crashing when there is a storm; deep and rolling when it is windy; or smooth and still when the weather is calm. Similarly, the waves in the water will reflect the sky, so when the sky is filled with racing clouds on a windy day, the water will be whipped with waves. If the sky is clear and calm, the waves in the water will also be calm. After choosing the weather to be depicted in the seascape, use a pencil to lightly sketch the horizon line and movement of the waves in the water. For a more interesting composition, or structure, avoid placing the horizon line in the middle of the paper. Point out the many colors as well as the shades (darkness), andtints (lightness) that Homer used in his seascapes, and the way he reflected the colors of the sky in the water. Explain that colors should be mixed directly on the paper without blending them completely, and painted with horizontal brushstrokes following the way the water would move. 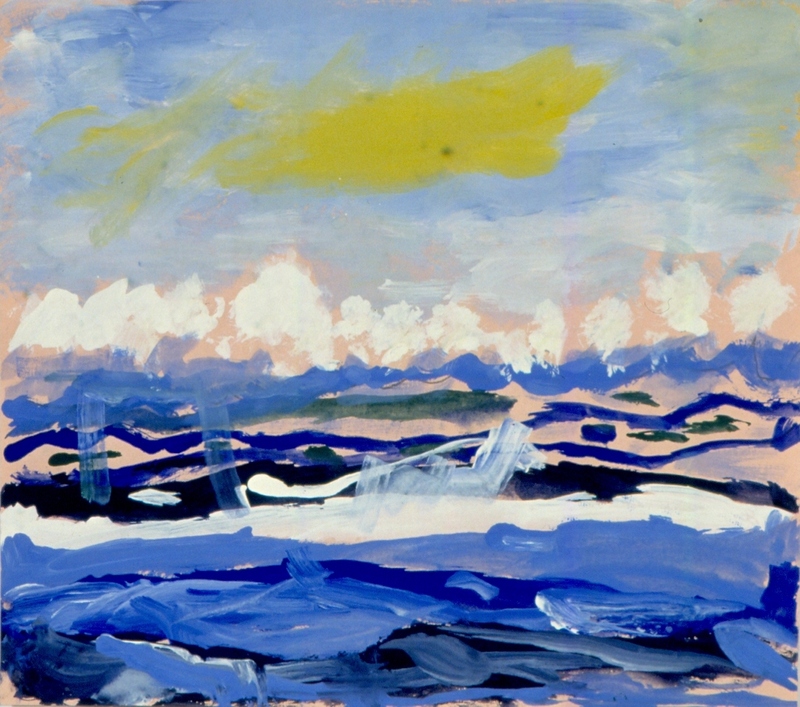 Paint the white caps, or the foamy part of the waves, by adding white to the color of the water and again painting with brushstrokes that follow the motion of the breaking waves. 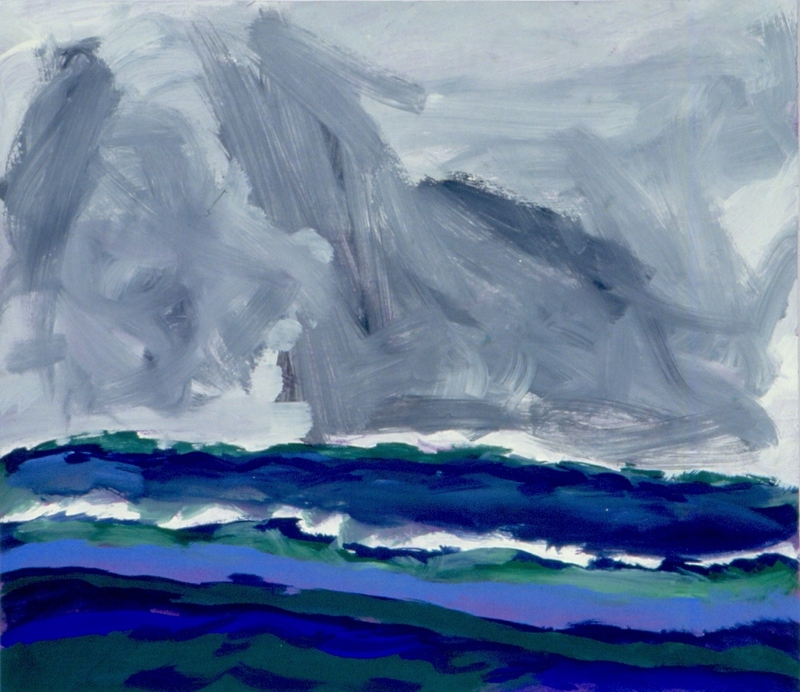 Have the children draw the waves and paint their seascapes in the style of Winslow Homer. Using colored construction paper adds depth to the paint colors and gives the paintings a more finished look. The pencil lines are drawn mostly to experience the initial feel of waves. The children should not become tied to the lines while painting. This lesson should be simplified when working with children from three to six years old. Introduce the artist; discuss the movement of the waves; encourage the children to mix the colors directly on the paper; and then let them paint. Discuss how the horizon line changes when depicting stormy weather versus calm weather in the children’s paintings. Talk about the various ways the sky was painted in each painting to differentiate it from the water. Ask the children to point out where the water reflects the sky in their paintings. Can I have a mixing tray to make light blue? How can I make the sky look different from the water since they are both blue? I used light blue paint for the sky and dark blue for the water. I want to paint a boat in the water. Try mixing the paints directly on your paper and not completely blending the colors just as Winslow Homer did. There are several ways to make the sky different from the water. You might change your brushstrokes, add different colors, or lighten and darken the colors. Remember that when you paint the water, some of the colors in the sky should be reflected in it. 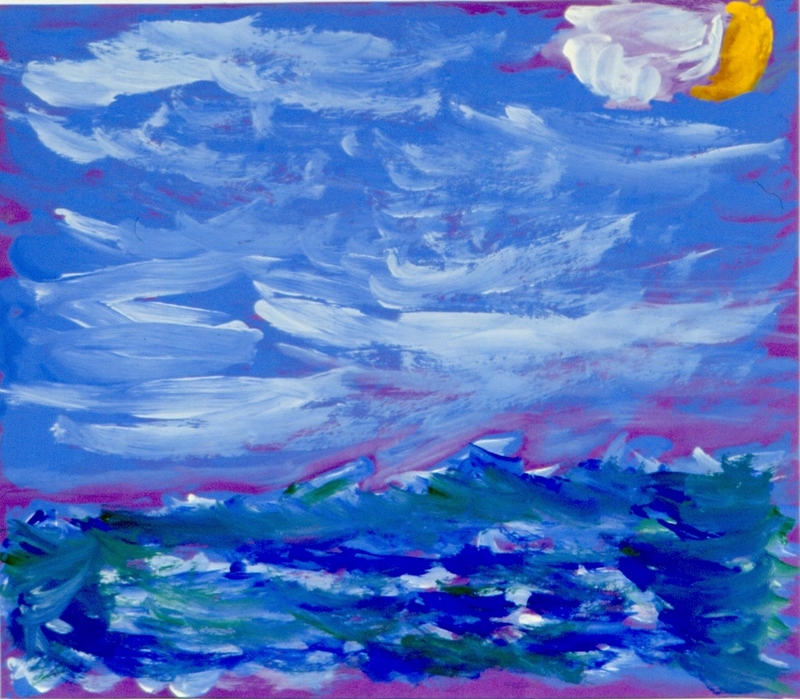 In this session, we are concentrating on painting the sea and the sky. You can always add a boat to your painting later. ← Dia de Los Muertos! !